Noeline Jeffries’ equestrian group was initially referred to Hamilton’s contemporary sculpture trust MESH, but after several meetings withdrew to focus on their original concept for a traditional monument -‘a horse that looks like a horse’. In late June 2015 they then approached TOTI for advice. We agreed the project management role. The Waikato Combined Equestrian Group Inc. (WCEG) manages the Waikato Equestrian Centre’s facilities on the 40 hectares of land bordering the Waikato River at Pukete, Hamilton. The WCEG has 12 affiliated Equestrian Groups throughout Hamilton and the Waikato area and offers the facilities and equestrian education to all riders of all age groups, ethnic groups and abilities. It is the central equestrian facility for the Waikato and hosts regular regional events in dressage, cross-country and show jumping. 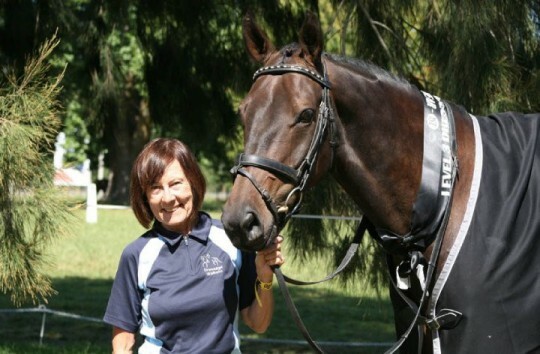 Noeline Jeffries has been involved with the WCEG’s organising committee for over thirty years since its inception and is also the North Island Vice President of the NZ Riding Clubs and Bridleways. This role puts her in touch with 52 riding clubs across New Zealand whose membership is open to the older riders aged 17 and over. From the outset, WCEG set up a War Horse Memorial Project Board for project clarity and transparency, as with their Anzac Day War Horse March event. They operate openly with an emphasis on engagement and consultation, plus effective communication with the equestrian community and wider equine interests – using on site posters, newsletters, and social media. https://www.facebook.com/NZWARHORSE/ and www.horses.net.nz .